This unique project documents the exploration of a series of relationships. It begins with a dialogue between the scientist and the artist as the two of them embark on the discovery of The Universal and The Personal, The Objective and The Imaginary – equipped: one with the microscope the other with the paintbrush. What makes this project unique is the fact that it revolves around The Eye, the most beautiful and fascinating sensory organ in the human body. The one that gives us the possibility of experiencing the world in a much richer way than through any other organ – at least to the visual artist… or the eye scientist. The Eye – its symbolism in the cultures around the world ranges from being the door of the soul to the representation of the deity itself. It absorbs the outside world and sends it to the brain to be translated into The Familiar. The goal of this project is similar, the presented visuals are not about providing the answers, they are not medical illustrations, but they have emerged from the scientific investigations. Now, it’s more about storytelling, and the viewers are invited to add their own understanding or simply absorb what is presented to them. 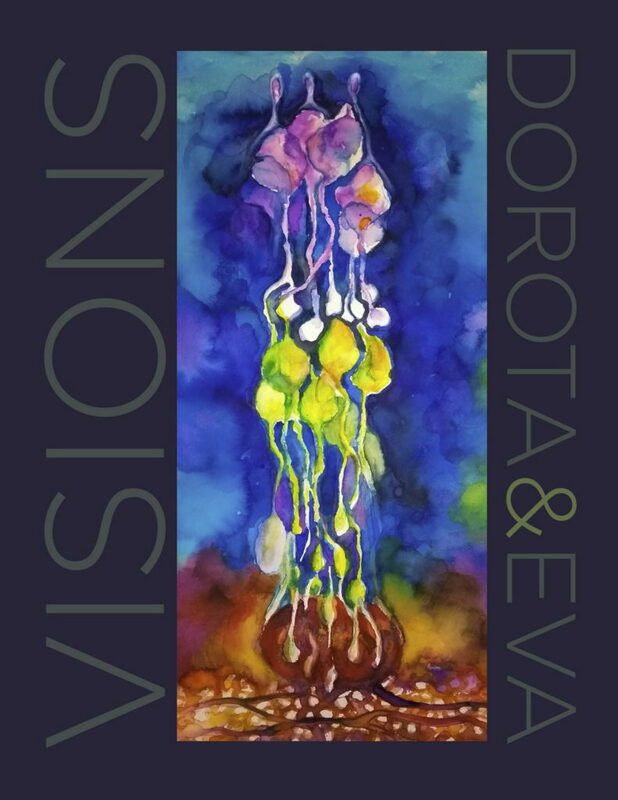 Dorota, with her PhD in Biochemistry from University of Geneva and Eva, bringing her Visual Arts education from York University converge on a common goal – to share their vision, to take science out the lab and make it more accessible to the nonscientific world. The colors that bring out the biological structures under the scientist’s microscope are replaced by watercolors and inks, and spread out onto the painting surface and… capture the viewers eye. The cycle is complete. In this process, the beholder is invited into the process of discovery when the micro reality is being transformed onto a very large canvas. As cliché as it sounds the beauty IS in the eye of the beholder.